As schools are making efforts to include children with emotional and behavioural problems, teachers are having to deal with angry and violent pupils almost every day. 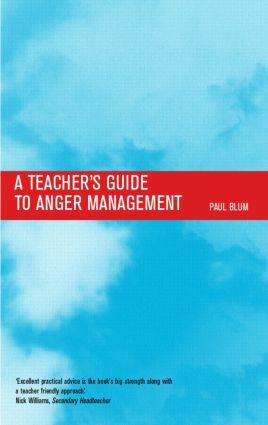 Paul Blum's latest book offers a recognisable, blunt and truthful account of widespread and often quite horrendous problems affecting teachers today, and offers practical strategies and solutions. He provides basic day-to-day guidance as well as help for the longer term PSHE planning for schools, based on his own adaptation of the highly successful 'Everyman' project. Issues discussed include a practical survey for teachers on the types of incidents they have to deal with, where anger comes from, the problems that anger causes, and strategies which can be used to help individual pupils. A teacher's inability to deal with difficult pupils can affect their professional and personal life, as well as their ability to successfully teach all their pupils. This essential book offers guidance when they need it most, offering a life-line to teachers in difficult circumstances. Where does the macho culture come from? How can a teacher intervene in the anger cycle?